Raising the Bar is a worldwide initiative aimed at weaving learning into the core of a city’s popular culture. Bringing the great minds, academics, makers and doers out of behind closed doors and into bars – making learning accessible to everyone. Alpaca created a visual map-based search for the Raising the Bar Melbourne event – on the 29th November. 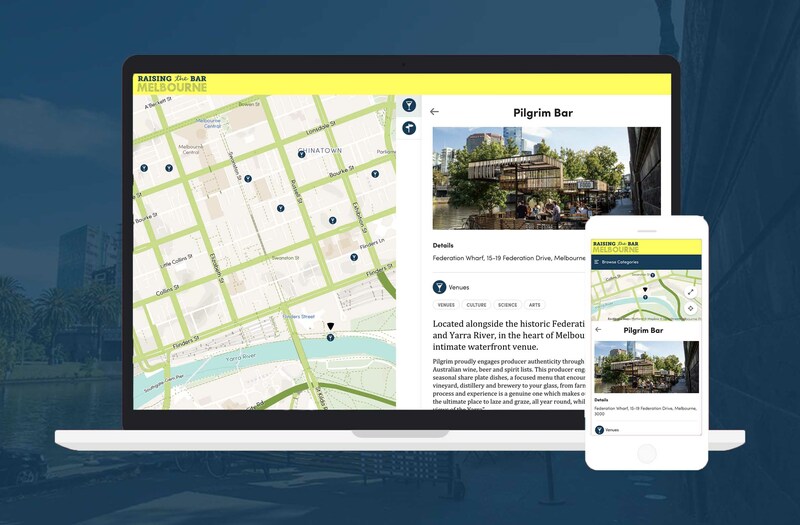 With the ability to filter by bars, topics or follow one of the curated itineraries, the fully responsive component features on the event website and can be viewed on mobile.